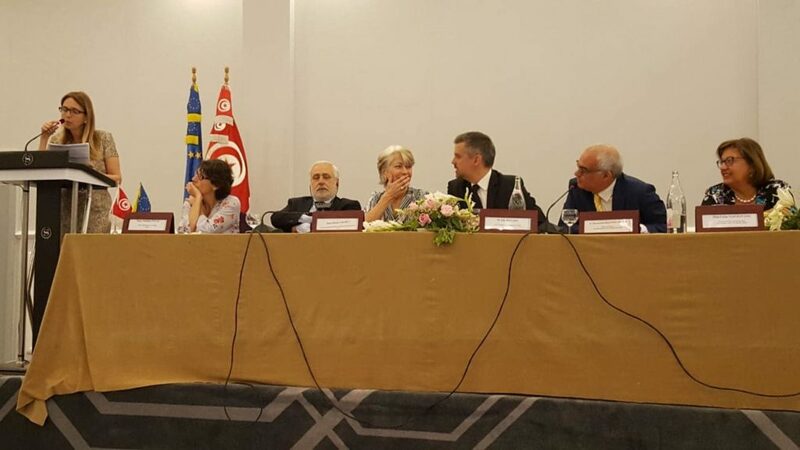 On July 12th, Ms. Assia Buonocore, Office Manager of The Siracusa International Institute for Criminal Justice and Human Rights intervened at the closing seminar of the Twinning Project between Tunisia, Italy and France on the “Support to Training of the Justice Sector Personnel” (“Appui à la formation des personnels de justice“) in Tunis. The project was launched in December 2015 and was conducted by the French Ministry of Justice and the French National School of the Judiciary (ENM), represented by Justice Coopération Internationale (JCI) as the body responsible for implementation. 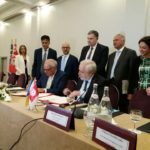 The Italian High School of the Judiciary (SSM) was the junior partner of France whereas The Siracusa International Institute – in light of its extensive experience in the field of technical assistance – was the ad hoc mandated body of the Italian Ministry of Justice. The overall objective of the project was to strengthen the effectiveness and independence of the judiciary in accordance with European and international standards, in particular by improving the capacities and skills of the justice sector personnel and by strengthening the Tunisian High Institute of the Judiciary (Institut Supérieur de la Magistrature – ISM). The closing ceremony was opened this morning by Mr. Kadhem Zinelabidine, General Director of the Tunisian High Institute of the Judiciary, and opening remarks were made, among others, by Mr. Ghazi Jeribi, Ministry of Justice of Tunisia and Mr. Olivier Poivre D’Arvor, Ambassador of France in Tunisia. After presenting the main outcomes of the project, a cooperation agreement was signed between the Institut Supérieur de la Magistrature (ISM) and the Italian High School of the Judiciary (SSM).